Welcome back, parents and students! 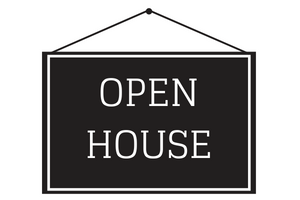 You are cordially invited to join us at your school's open house to get better acquainted with the building, classrooms and teachers. We are working diligently to prepare for the new school year. The first day of school for students is Monday, Aug. 20. It is a half day. The half-day schedule is 8:28-11:36 a.m. for elementary students, 7:53-10:51 a.m. for middle school, and 7:50-10:55 a.m. for high school. Kindergarten/Young Kindergarten on Thursday, Aug. 16, at 6-7 p.m.
Grades 1-6 on Monday, Aug. 20, at 7:30- 9 a.m.
Kindergarten/Young Kindergarten on Wednesday, Aug. 15, at 6-7 p.m.
Grades 1-6 on Monday, Aug. 20, at 5-6 p.m.
Grades 1-6 on Monday, Aug. 20, at 6-7 p.m.
Kindergarten on Wednesday, Aug. 15, at 6-7 p.m.
Grades 1-6 on Monday, Aug. 20, at 7:30-8:30 a.m.
Kindergarten/Young Kindergarten on Tuesday, Aug. 14, at 6-7:30 p.m.
Wednesday, Aug. 22 - Please arrive between 6:30 and 6:50 p.m. The GHS open house is a time to experience a typical school day by following your student’s class schedule. Each class visit is 10 minutes. All parents and high school students are invited to attend. Parents may pick up their child's schedule in the auditorium entrance. Enter on the Canal Avenue side of the auditorium. Monday, Aug. 20, at 6-8 p.m. The evening is designed to allow parents to walk through their child's daily schedule. Parents will spend a few minutes in the classroom of each teacher and listen to an overview of the class syllabus. The 1st-hour class will begin at 6 p.m., and classes will transition every 8-10 minutes. Please bring a copy of your child’s schedule (either a paper copy or a photo on your phone). Kindergarten on Thursday, Aug. 16 at 6-7 p.m.
New students on Thursday, Aug. 16, at 5:30 p.m.
Grades 1-6 on Monday, Aug. 20, at 7:30-8:45 a.m.